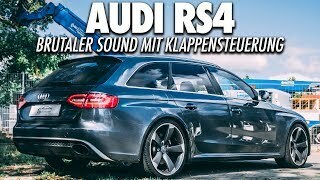 ABT Sportsline has introduced a nice upgrade package for the Audi RS4. 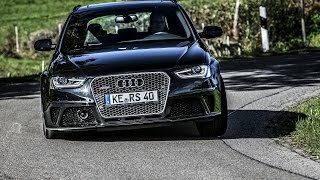 With this package ABT Sportsline has filed down the electronic speed chain, as it were, and the ABT RS4 now reaches a top speed of almost 290 km/h. To achive this top speed the tuner has removed the speed limiter and replaced the standard exhaust system with a new stainless-steel one with catalytic converters that significantly improve the engine’s sound and eases exhaust flow. The ABT RS4 is powered by the 4.2-liter V8 engine - which develops 450 HP (331 kW) and 430 Nm (317 lb-ft) of torque. 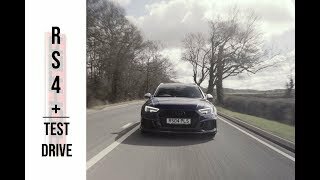 The ABT RS4 is equipped with 25mm wheel spacers and ABT uses one size larger alloy wheels in its ABT DR design in 9 x 20 inches, which give the model an aggressive look of elegance.